Wall Mount - 40" x 74" x 6"
Summit Falls Water Fountains are our largest vertical wall mounted features. Available in many options. 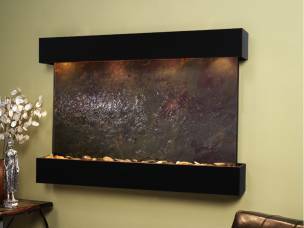 Wall Mount - 52" x 35" x 6"
This water feature is easy to install with our EZ install Bracket. Our customer service is ready to help you with any questions you may have. 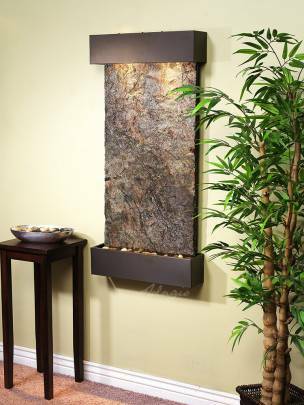 Wall Mount - 61" x 45" x 6"
The Teton Falls Indoor Waterfall is a great way to welcome clients to your business. Customize your water feature with your logo for a display to be remembered. 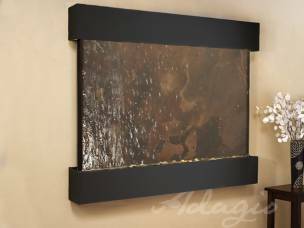 Freestanding - 41" x 90" x 14"
The Tranquil River waterfall by Adagio is a hand crafted water feature made in the USA. 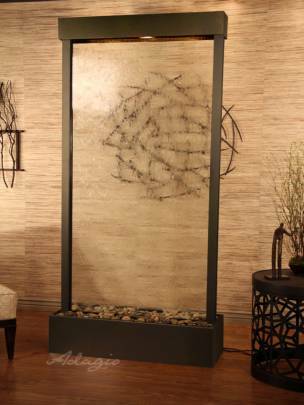 This water wall adds beauty and comfort to any room or outdoor patio. 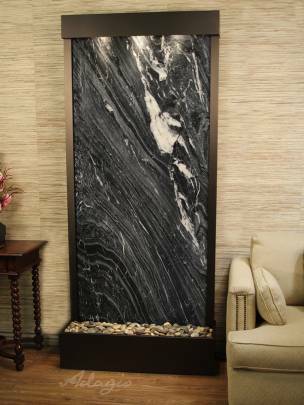 Our freestanding waterfalls are great decor for your home or office. With a variety of metals and stones available. 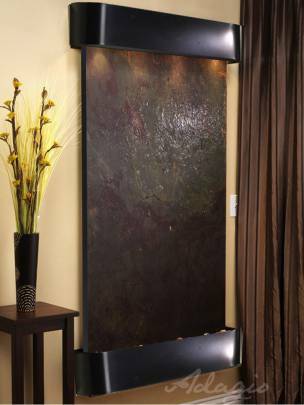 Wall Mount - 22" x 46" x 5"
Our indoor wall fountains add beauty to your home or office. This waterfall comes with a variety of attractive choices for finishes and surfaces.